The class of psychedelic drugs includes drugs with euphoric effects as well as those with dissociative effects. Some of thse drugs were formally thought to have therapeutic potential and are now illegal. Psychedelic drugs are a class of drugs that cause euphoric effects but are not accepted for any means of medical use. The most common types of psychedelic drugs include LSD, MDMA, psilocybin and PCP but there are also an array of other drugs that fall into this category causing dissociative experiences for the user when smoked, snorted, consumed or injected. 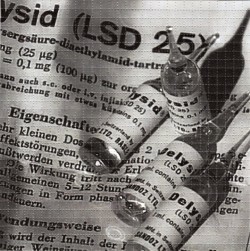 LSD was developed because of its perceived medical use, though it is now illegal. In the early 1950s and throughout the 1960s and -70s psychedelic drugs were openly used and were even considered to be promising treatment options for various types of psychiatric conditions. People were widely using psychedelic drugs, primarily LSD and MDMA, and studying the use of these drugs as they compared to helping people heal from traumatic experiences, post-traumatic stress, anxiety, depression and other disorders. In the 1960s, psychedelic drugs were considered “fun” and “experimental” and they were widely used as a means of rebelling against parents, the law and other levels of authority figures. Government research would soon stop as it was deemed that psychedelic drugs were no longer a viable source for treatment or therapy of most medical or psychiatric situations and use of such drugs was fully banned from the clinical field. Most psychedelic drugs have limited risks when it comes to physical danger but this doesn’t make them safe. According to the National Institute on Drug Abuse, these drugs, especially LSD and psilocybin, don’t typically cause overdose or other serious health hazards physically but they do cause serious psychological problems and may lead to long term mental instability. Clinical literature suggests that psychedelic drugs can cause widespread panic, anxiety, heightened fear and may even give way to insight into pre-existing conditions that a user has. If an individual who already has anxiety or schizophrenia takes psychedelic drugs the risk of the anxiety or heightened episodes of schizophrenia are increased substantially. Psychedelic drugs can have varied effects on the user. In fact, even a user who takes LSD or another psychedelic drug once and has no real problems with the drug may experience a dramatically different situation later on if they take the drug again. Some people will experience a bad trip the first time that they take a psychedelic drug while others can take a drug multiple times without ever having a problem. The unpredictable effects of psychedelic drugs are the primary concern for users and for medical professionals who urge people not to take these drugs. Vastly different states of “high” or euphoria are likely when psychedelic drugs are being used. Some people feel aware and upbeat when using these drugs, others will feel anxious and concerned while others may have a lack of inhibition all together. Psychedelic drugs can have an influential experience depending on the means in which the user takes the drugs and his or her surroundings. The setting and the mindset of the user will have an impact on the “high” that the user experiences when taking psychedelic drugs. For instance, an individual who has a mindset that includes anxiety and fear of the drug use is likely to experience a “bad trip” or an uncomfortable high because they are already paranoid and the use of the drug will only heighten that mindset. Psychedelic drugs are generally non-addictive and do not have any serious side effects aside from the risk of pulling an underlying mental illness to the surface. If a user takes psychedelic drugs repeatedly, there is sometimes a need for treatment to help him or her feel comfortable or otherwise content without the use of drugs because the mind will experience the world quite differently without the use of drugs but this is not necessarily a matter of addiction or a major problem. Treatment for psychedelic drug use should include counseling to help the user come to terms with why he or she uses these drugs and what can be done to prevent future cases of drug abuse. Counseling is available in both an individual and group setting. Both methods of counseling should be sought in order to help the user get into the habit of talking to others in a group setting as well as to talk with the counselor in a personal setting. 10 Psychedelics to Avoid at All Costs - Although you may be tempted to experiment with these drugs, there are many reasons you should avoid consuming certain psychedelics. 10 Things all Psychedelics Have in Common - Though different psychedelics may cause varying side effects, there are certain things they all share in common. 15 Reasons to Avoid Synthetic Psychedelics - What we hear about synthetic psychedelics, unfortunately, is often far from the truth. Here are some reasons you should avoid using them. 4 Things You Need to Know about Spice - Spice, or synthetic marijuana, is much more dangerous than real marijuana and can lead to addiction. 5 Most Common Psychedelic Drugs - Psychedelics are a category of drugs which are dangerous because of their ability to distort the senses. By changing a person's perceived reality, they are put at risk of hurting themself or others.